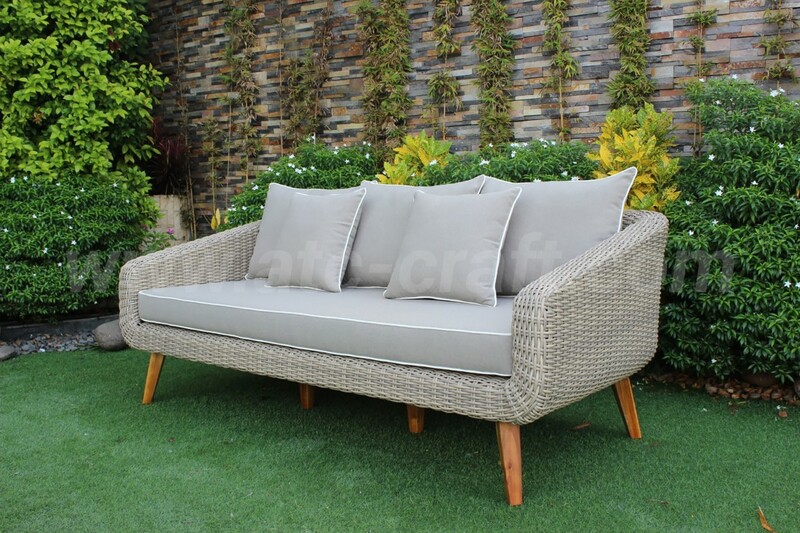 An upgrade version of the Rasf-141 set, this Harmony In Nature With Poly Wicker Sofa Set Rasf-141 Style 2 show you the new way to enjoy your wonderful life. 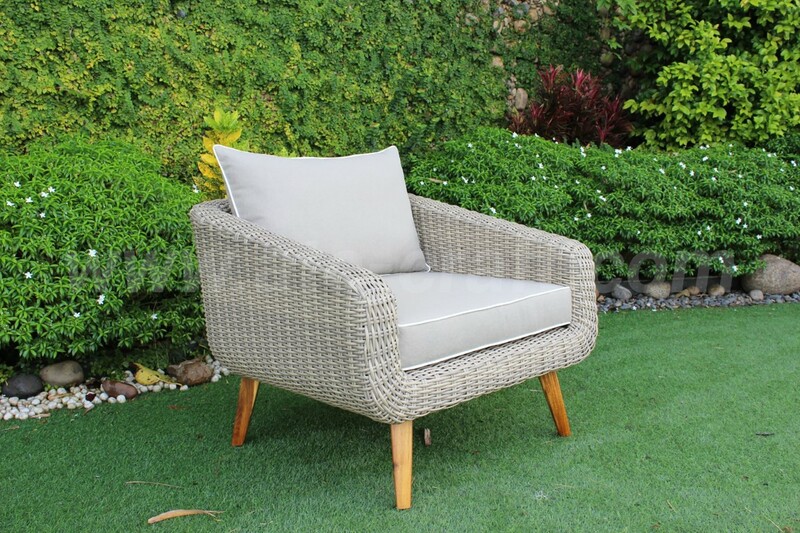 Blend yourself with the wild life, listening to the bird singing, watching bee and butterfly work to pollinate your garden, while sitting comfortably in one spot and sipping your morning tea. A perfect getaway for someone who love outdoor living after a stressful week. 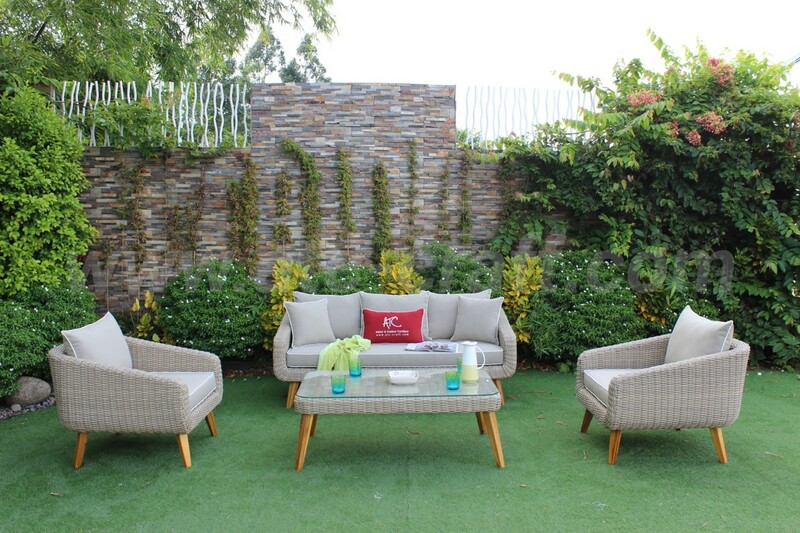 Not only that, this light gray set incorporates with darker tone cushions and white border line surely with be the center of your courtyard. By using the word famous synthetic resin material, the HDPE with half round design, this collection shows you it more than meets the eye. 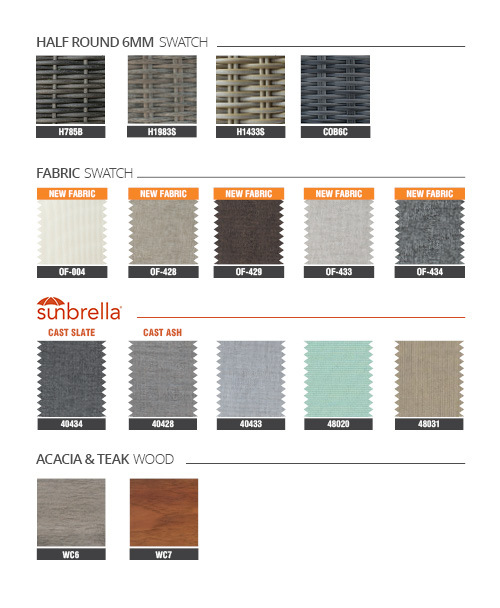 The very substance of this material has a strong physical feature, enable it to withstand harsh weather condition such as humidity after the rains or heat when exposing directly to the sun. Without any sign of brittle, cracking, deduction in toughness, color fading, etc. On the other hand, it also has some positive chemiscal properties because of its environment friendly characteristic: to be one hundred percent recyclable and non toxic to human. Furthermore, the inside frame is made from powder coated aluminum metal, so this outdoor furniture is light enough to be carried and moved around even by children. 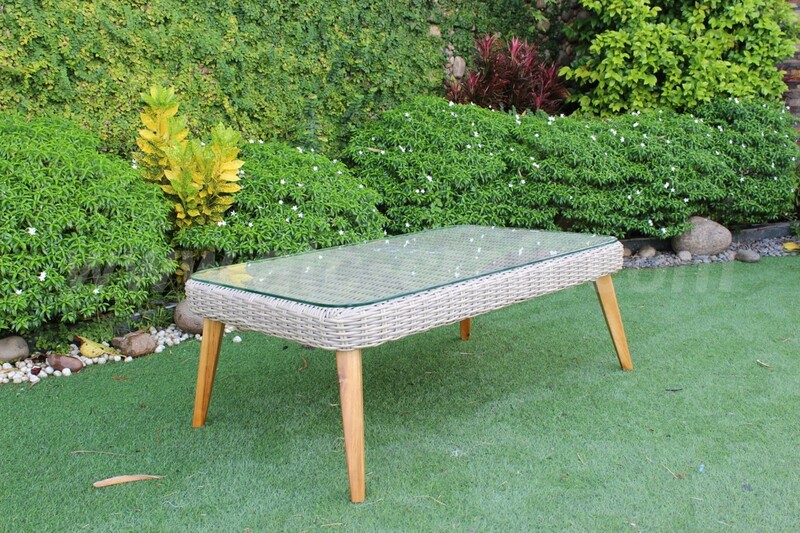 Next, the poly wicker table’s surface is installed a tempered glass 8mm thick, to protect the resin below against any hot drink or heavy décor accessory you want to display on it. 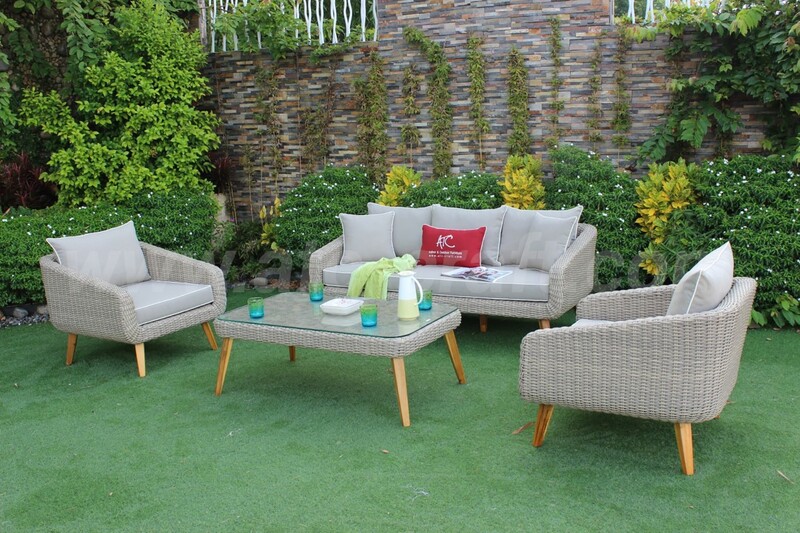 Not to mention the easy to clean and all weather resistant thick cushions that can satisfy you with relaxation during your enjoyment with the nature scenery. This style of the Rasf-141 is just one in many of the endless possibility of design we can offer to you. if you want a taller table or a longer chair or even bigger cushions, let us know and together we can make any wild dream come true. 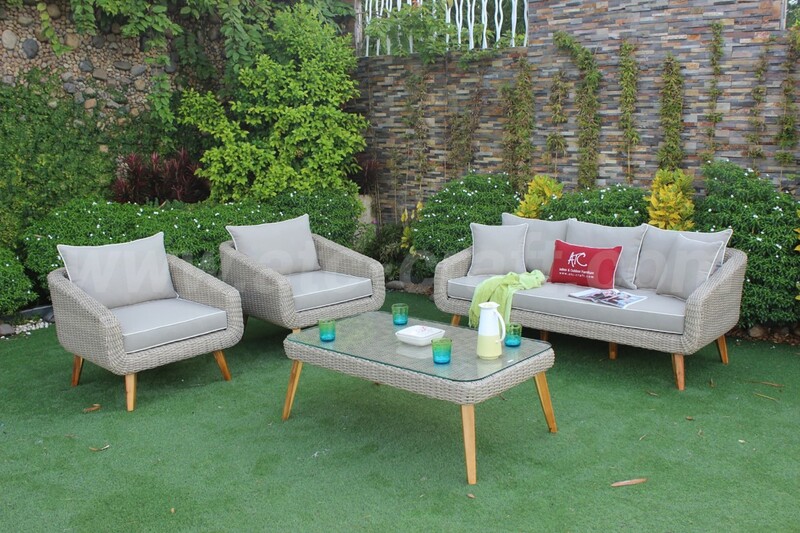 •All-weather materials: Half Round HDPE wicker, Powder Coated Aluminum frame, water resistant fabric (250g), Acacia Wooden legs, 10cm thickness cushions, tempered glass (8mm).